Malden Public Library’s director Dora St. Martin and assistant director Caron Guigli led the tour. 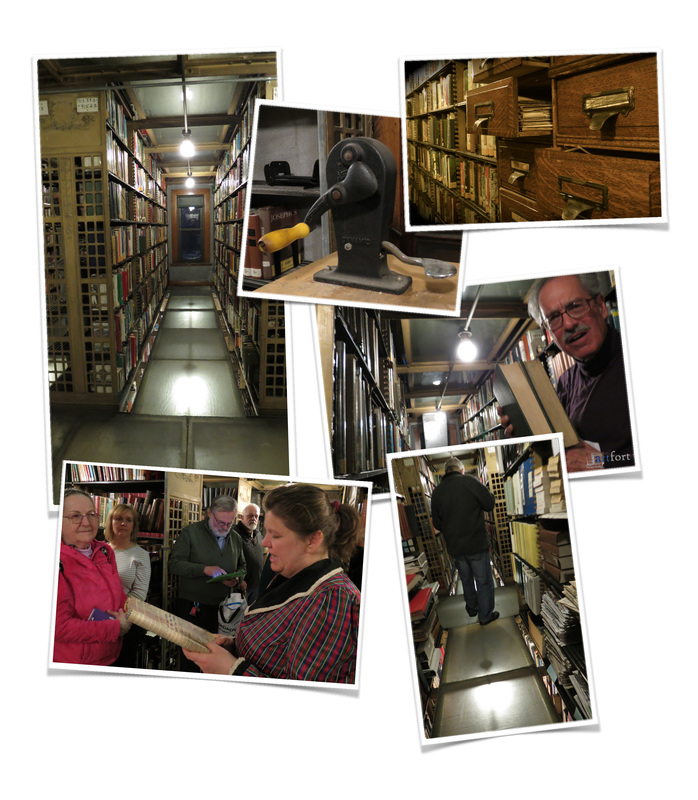 Participants had a chance to see and learn and explore the vast collection of treasures the library stack! 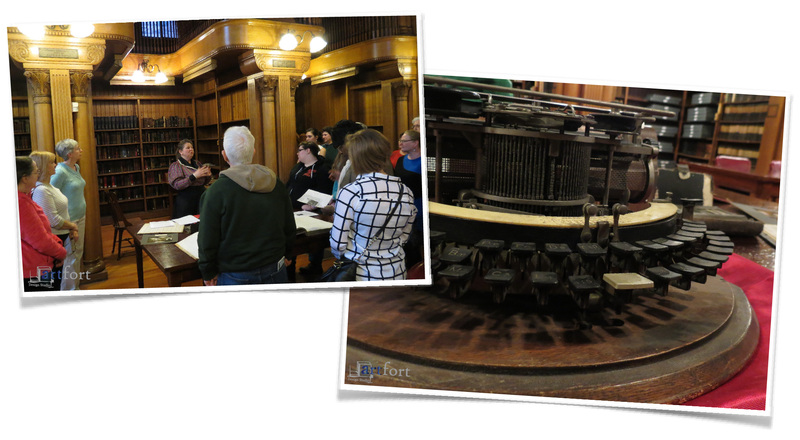 The tour started at the lower art gallery of the Converse Memorial building, were rare treasures were displayed for participants to see and explore. They were serious when they said . . .
. . . attendees must be in good physical condition and be able to climb ladders! 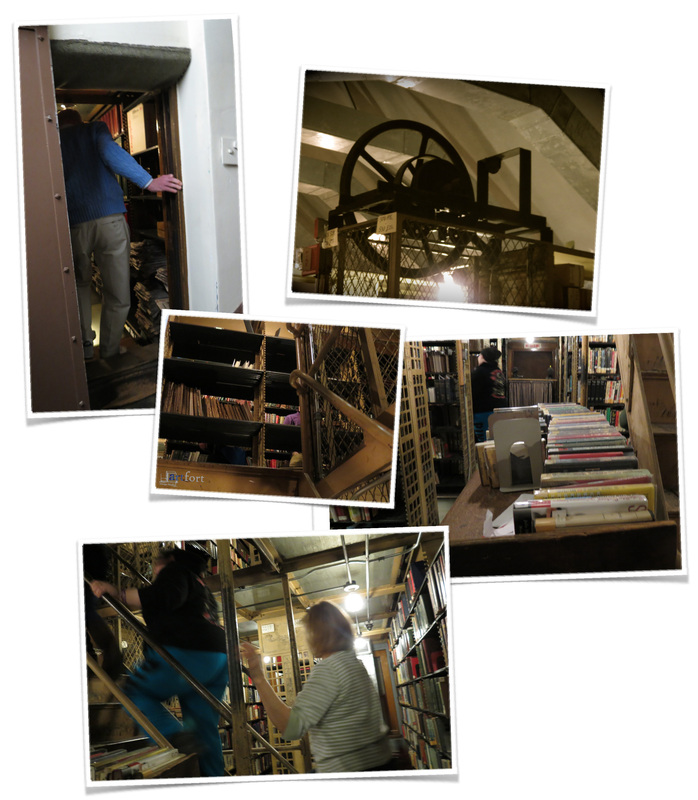 Our tour guide, “the librarian,” led us through the stacks, pointing out rare book dating back to 1885, the year the library was built, various tools and systems that had been used for the borrowing flow and creative materials used in library construction .,. the amazing glass floors. And you gave us a tour! Thank you! Malden Public Library and the Ryder Gallery are treasures to celebrate.